With an €80 million investment signed off by the board, Volkswagen has announced it will begin production of its first convertible SUV from 2020. Based on the recently released T-Roc, this model continues Volkswagen's cabriolet tradition which dates back almost 70 years. SUVs are currently making a key contribution to the growth of the Volkswagen Group's core brand – with 720,000 Tiguan vehicles delivered to date – and by 2020 the brand intends to expand its SUV range throughout the world to 20 models. By this point Volkswagen expect that about 40 percent of all vehicles sold by them will be SUV's. 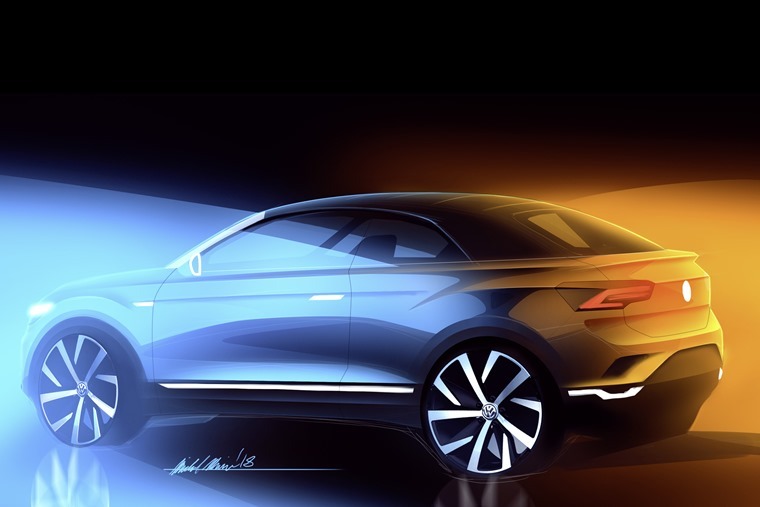 With the new cabriolet-based T-Roc, Volkswagen hope it will further reinforce its presence in the compact SUV segment. Dr. Herbert Diess, CEO of the Volkswagen brand, said: "Volkswagen is evolving into an SUV brand. The T-Roc is already setting new standards in the compact SUV segment. Will you be leasing one come 2020 or have you still not accepted the Range Rover Evoque convertible is real yet?